The world is becoming more divided then it has ever been. Much can be attributed to the modern age shrinking the world. News media and internet access allows for more information as well as misinformation flow. Misinformation and disinformation drive the world today. It is normal human instinct to divide into groups. These groups then distance themselves from the other groups. Our group becomes “us” their group becomes “them.” Sooner or later one group becomes jealous of the other and demands what the other has. This leads to war. War in ancient times would lead to the subjugation or annihilation of one group by the other. As man became more accustomed to dealing with “them” different resolutions came to pass. Paying taxes or tribute was enough to allow “us” to leave “them” alone to continue to grow. More recently we have returned to the violence of us vs. them. When one group is of the opinion that they are more than right, but anointed. The most obvious case is ISIS. It is their determination that they are the sole interpreters of Islam. Anyone or any group that thinks otherwise is to be killed. This is justified by the fact that the violent act is done in the name of virtue. It is in fact altruistic. In his book “Not in God’s Name” Rabbi Jonathan Sacks indeed calls it altruistic evil. Examples of the us and them problems are evident across the world, not to the extent of the ISIS implementation, but bad. Brexit is an example. The people of the United Kingdom chose to leave the European Union based on an “us vs. them” viewpoint. While it started out as an economic union, the European Common Market, it became a political union in 1993. By the early 2000’s there were already rumblings of discontent due to the rules and regulations coming out of Brussels. The influx of refugees from Syria and North Africa exacerbated the problem because of the EU’s open borders. This at least was the excuse given as the union began to have growing pains. The fact is that it became “Us vs. Them.” Europe is a continent not a country. It is filled with different languages and cultures. While everything was going along fine there was no problem. Then came the Euro crisis with Greece, Italy, Portugal and Ireland. This opened up the first cracks and this has brought us to today. There are other examples today of “Us vs. Them.” In the United States we have the Black lives Matter movement pitting black America against the police. An in Iraq we have the problem of Kurds vs. Kurds. The “Us Kurds vs. the Them Kurds” is not new, we only have to go back the 1990’s to revisit the Kurdish Civil war. KDP vs. PUK. In this time regional powers played the Kurds against themselves. Saddam playing the KDP off of the PUK which had Iran’s backing and Turkey pulling strings to keep the thing alive. Today much of the old animosity remains. While the Kurdish people are at the best time in history to declare independence and have a country, they are forming up against themselves. The old social “Us vs. Them” is coming to once more deny the Kurds a homeland. While there is no doubt that much of the feelings are genuine it also must be considered who has the most to gain from this. In many cases there are legitimate concerns. While it is easy to argue the limits of a Presidential term it is harder to argue rule of law. There is no constitution for Kurdistan, it’s still in draft. With no law there is really no limit. There is an agreement but all sides seem to maneuverer around that whenever they want. The Kurds are then facing the dilemma of who is right and who is wrong. But when it is “Us vs. Them” the answer is always easy, we are right and they are wrong. When one side or the other entrenches themselves in righteousness it becomes impossible to extricate yourself from a position, it also becomes easier to be manipulated. The current crisis between KDP vs. PUK/Goran will not lead to a position that either side actually wants. The outcome should be become a unified country, a single entity, then start from scratch to build a nation. This is difficult, it requires that the past be relegated to the past. Masoud Barzani was never the President of an independent Kurdistan, so the past is forgotten. The KDP, PUK, Goran and the rest were never a sitting body for an independent Kurdistan, so a new government is formed. The other options are to do nothing and maintain the status quo, or move on to violence which is the typical end of an entranced “us vs them” problem. A full out split of us and them into a SW Kurdistan and SE Kurdistan. Ultimately these last options will result in a stronger neighbor absorbing the geographic region and the Kurds just go on fighting each other. Until the Kurdish people can become one and together “Us,” and relegate Turkey, Iraq, Syria and Iran to the status of “Them” there will not be a chance to become Kurdistan. Until Kurdistan the rest of the arguments amongst the Kurds are meaningless. A recent Column of mine, reproduced below, spoke to the impact the Iranian deal will have on the region including Kurdistan. Today I would like to expand on this in light of the death of 3 year old Aylan Kurdi. I think first off we need to restructure the facts. Aylan and his family are Kurds from Kobane and did leave the village. However they left three years ago to go to Turkey after fleeing the fighting. They had lived in Damascus, then Aleppo, before going to Kobane. 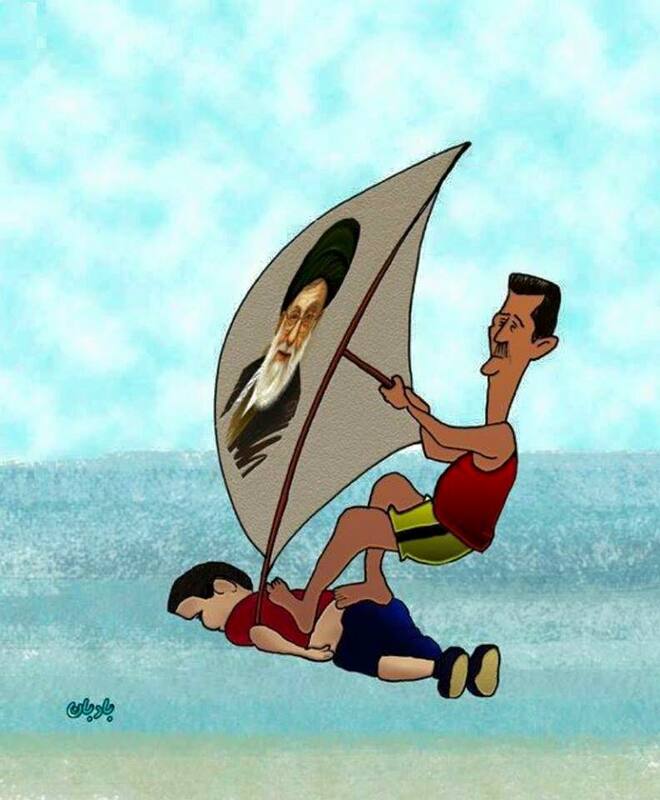 What this means is that the start of this tragedy is directly related to the Assad regime and its Iranian supporters. Without Iran’s direct support to Damascus it is likely the regime would have fallen and young Aylan would have been born in a time of peace. It has now become likely that the executive agreement President Barrack Obama presented to the US Congress will be enacted, not by congress whose majority rejects it, not by the people of the United States, whose majority reject it but because 34 Democratic Senators will allow the president to have a sustained veto. The fighting will go on as 34 senators allow the release of billions of dollars and remove the sanctions on the largest exporter of terrorism in the world today. There have been and will be many more Aylan’s, not only in Syria or Turkey but in Iraq, Lebanon and Iran. Unless another becomes this visible most will not be seen and the tragedy will go unnoticed. I repost this as a reminder of what is happening and a warning of what will become. How will the Iran deal impact Kurdistan? The recent agreement between Iran and the E3/EU+3 will have long term consequences on the region, including Kurdistan. The aspect of stopping Iran’s march to a nuclear weapon aside, the removal of sanctions will allow an increase in Iranian mischief in the region. The world at large has taken little notice of Iran’s brutal treatment of its Kurdish population, and will be even less concerned once commercial trade is reopened. The immediate impact to Kurdistan will come from the anticipated $150 billion windfall that will come from the immediate release of sanctions. Iranian President Hassan Rouhani announced the increase of the budget for the IRGC from $6.5 billion to $9 billion and the agreement removes the IRGC and its commanders from the sanctions list. This will allow the IRGC greater capability to arm and control Shia militias in Iraq, and further reduce Iraqi government control of its internal security. How does this effect Kurdistan? This strengthening of Iranian influence will have a serious impact on the relationship the KRG has with the government in Baghdad. The KRG budget is busted and Kurds across the region are under increasing pressure from ISIS. The strategy of Iran seems to be to maintain chaos in the region in order to justify its military assistance to Shia militants, such as Hamas and Hezbollah, as well as in Iraq. To this end, it is in Iran’s best interest to keep ISIS a threat to the region, in a defensive position, but not defeated. Kurdish Peshmerga forces have shown a great ability to stop and defeat ISIS fighters but are potentially running short of supplies, with Baghdad under increasing influence of Tehran, resupply for the Peshmerga is doubtful. European nations have lately filled the gap but some of the bigger donors, such as Germany, will soon be looking to reestablish commercial ties with Iran, which may leverage this desire to reduce support for the Kurds. Beyond the crisis for the Peshmerga, Iraqi Kurdistan is under increasing internal social and political pressure. With a faltering economy and calls on the current leadership to become more democratic, the road is open for Iran to ferment discord. With an influx of money to one of the political parties and a promise of military aid, Iran could weaken and split Kurdistan while keeping attention on the external threat of ISIS. Turkey would also likely join in with an eye to increased ties to the Iranian energy sector and the increase in natural gas from Iran. If Turkey can benefit economically from the removal of sanctions and see a reduction in Kurdish influence, it would solve two problems at once. Much has been said and written about the current crisis in the Kurdistan region of Iraq that does not entail ISIS. 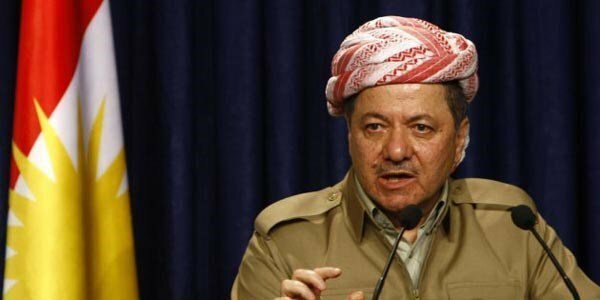 On August 20th the term of office for President Masoud Barzani was supposed to have ended. In fact is was supposed to have ended two years earlier but was extended by the Kurdish Parliament. Because the term of office has ended, and there being no new elections, the question of legitimacy of the presidency is in play. Kurdistan has been called the model that the rest of Iraq should follow. For the last ten years it has seen economic growth and relative peace and stability. There have been rough patches and problems both internally and with the federal government in Baghdad. Currently the region is under tremendous threat from external sources. Both the terrorist group ISIS and Turkish incursions have put tremendous pressure on the Kurds and their government. Battles with the central government over budget sharing and oil sales have left the Kurdistan Regional Government cash strap and unable to pay its own people or army. Today however opposition politicians and a youthful diaspora see the main threat to Kurdistan as whether or not Barzani has a right to remain in office. There are some areas which must be addressed. First: Barzani called for elections last June. This may have been a political maneuver knowing that it would be next to impossible to achieve. The electoral board did say it would take six months to set up, to date no elections have been scheduled. Second: When submitted to the Kurdistan Consultative Council, part of the Kurdish government’s Ministry of Justice authorized to provide decisions on legal disputes between government agencies, it was determined Barzani could remain in office for two more years. This decision was met with rejection by those Members of Parliament opposed to Barzani. Third: prior to the next election opposition MP’s want to change the constitution to reduce the office of the President to one of little power, only a ceremonial office responsive to Parliament. Last: but assuredly not least, is the burning problem that all of this revolves around constitutional questions, when in fact there is no constitution. The draft constitution was never ratified as required and its authority is still pending. From a Western perspective constitutions are the supreme law of the land. Amongst other things constitutions set up the forms of government and delineate the powers of the different branches. Under the draft constitution of the Kurdistan region the office of the president has executive authority and the president is elected by popular vote, with a term of office limited to two four year terms. The parliament is elected buy single person vote of party lists and there is to be a Supreme Court, called the Constitutional Court of Kurdistan in the draft constitution. This last is a serious deficiency as there currently is no court. Under the draft constitution the courts functions are. Explain the stipulations of the article of the Kurdistan Region’s Constitution. 1- Monitor the constitutionality of the laws, based on a request from the President of the Kurdistan Region, the Council of Ministers, ten members of Parliament, or any concerned party. 2- Decide the legality of decrees, regulations, resolutions and instructions, based on the request of any concerned party. Many opponents of Barzani are calling for rule of law to be applied while his supporters are saying he is within his legal rights to remain. The Constitutional Court would be the natural venue for resolution, if it existed. The big questions now are, does the Parliament have the authority to do anything? Does the President have the authority to do anything? Under what authority does the Kurdistan Regional Government exist? What law rules? Both the parliament and the president are operating under de facto authority which can be extended or removed by the will and whim of political power. “It’s the politics that decide what happens to the law, rather than the law deciding what happens to the politics. 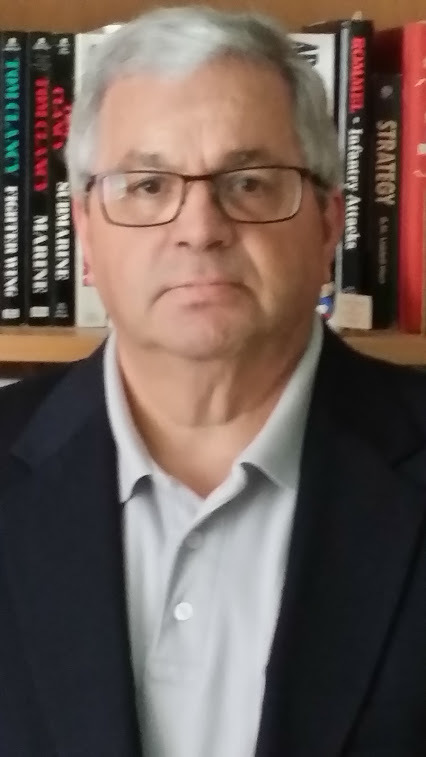 Everything here is politicized, and this issue is a political one,” said Dlawer Ala’Aldeen, president of the Middle East Research Institute (MERI), a think tank based in Erbil. If an election can be held, hold one. If you want to amend the constitution ratify the draft you have and then amend it, or write a new draft and get that one ratified. It has been pointed out that all of the opposition parties, not sure how they are opposition since they control 51% of parliament, are opposed to Barzani continuing as president, then why can’t they come together and pass a resolution, or at least put one forward. Please for the sake of the people put politics aside and move forward. Should the US Arm the Iraqi Kurds? 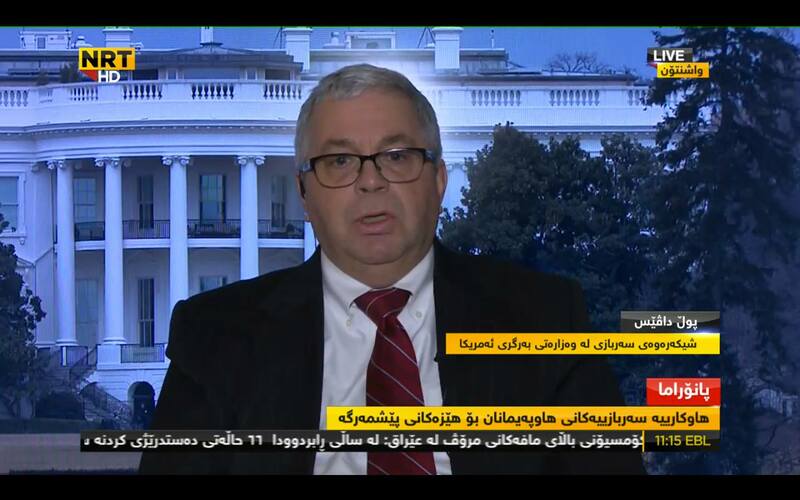 During my recent interview on Kurdish television station NTR. One of the recurring questions was “Why will the US government not supply the Kurdish Peshmerga with weapons?” The short answer of course is that we have supplied small and medium size arms to the Kurdistan Regional Government (KRG) while they were in direct contact with ISIS and receiving no help from Baghdad. The hard answer is that US policy limits what it can provide to a regional security force without the consent of the central government. Limited to the point of supplying nothing of consequence, noting that would matter. However, should this policy exist in the world today? Reportedly, House Foreign Affairs Committee Chairman Ed Royce (R-CA) is circulating a letter to Members of Congress urging a bi-partisan bill authorizing the President to provide the KRG with the arms it needs and bypassing Baghdad. The impact of arming the KRG with heavy weapons, in the short term, will bring them on par with the enemy in front of them, who has superior weapons they have captured from the Iraqi army, US weapons, including advanced M1 tanks. We have seen the Peshmerga fight and defeat ISIS with the help of US airstrikes and the assistance of other Kurdish fighters such as the YPG and PKK. These victories however have been limited in scope but not in impact. Saving the Yazidi minority and pushing ISIS off the Mosul dam are significant achievements, but ISIS still controls a swath of Iraq and portions of Syria as well as now influencing Islamic extremist throughout the region. The introduction of heavy weapons to the Peshmerga would not allow them to defeat ISIS by themselves but would allow them to secure the Kurdish region and return to building the only success story in Iraq. So why not do it. We must address the political ramifications first. Baghdad does not want the Kurds stronger than they are currently. Turkey to the north fears any Kurd, having been at war with the Kurdish PKK organization for years. Turkey views weapons to the KRG as weapons to the PKK. The PKK began as an organization dedicated to an independent Kurdish state in what is now SW Turkey. These are our friends. Failure to provide weapons to the Kurds leaves only the central governments in the region to fend off the terrorist threat. Currently the Iraqi forces have failed in all attempts to dislodge ISIS and most recently have turned to Iran for assistance. Over 3000 Iraqi forces backed up by 20000 Iranian lead Shia militia have so far failed to dislodge ISIS from the town of Tikrit. While fighting ISIS in the Syrian town of Kobane, on the Syrian Turkish border, Syrian Kurdish fighters supported by Iraqi Kurdish Peshmerga and US airstrikes did ultimately drive ISIS from the region. This even through Turkey initially denied the Peshmerga safe passage but allowed free crossing for ISIS. These are our friends. How to support Mr. Royce’s attempt to authorize the transfer of arms over the objection of Baghdad is no small undertaking. There are three options left; first, we don’t and hope that Iraq and the Peshmerga can establish a secure Iraq, second we ignore Baghdad’s protests and just arm the Peshmerga or lastly we accept the inevitable, that Iraq is a failed state and understand we are arming the future army of an independent Kurdistan. This last is the easiest and the hardest. The US has a lot of capital invested in Iraq, both financial and political. It would be difficult to walk away, but it would be the easiest path. Should we accept the failed state model, then what becomes of Iraq? It splits into three distinct parts. The first is a Shia part that falls under the control of Iran, Then a Sunni part that depends on the assistance of the Sunni world and Kurdistan, which has never had an Iraqi identity and surrounded on all sides by enemies. Non-Arab nation in the Middle East surrounded by enemies is not something we have not seen before. Congress should authorize the transfer of arms to Kurdistan, or for the President to direct the transfer. The State department should direct its efforts on working with Turkey to step up and become the local peacekeeper. The above snarky comments aside, Turkey is at least, for the time being, a democratic secular nation which does not want to see Iran controlling the region and can use Kurdistan to buffer itself from the worst of sectarian violence in the Arab world. The weapons will come with a price, that is the KRG will need to do a little cleaning up. More open elections and less corruption. Kurdistan, like Israel, is an oasis in the middle of turmoil and pains in the backside of the US. Both need protection, nurturing and support until their neighbors can join them in peace. This is not the answer given my interviewer; all I could say was that since they were not a nation we had to work with Baghdad.